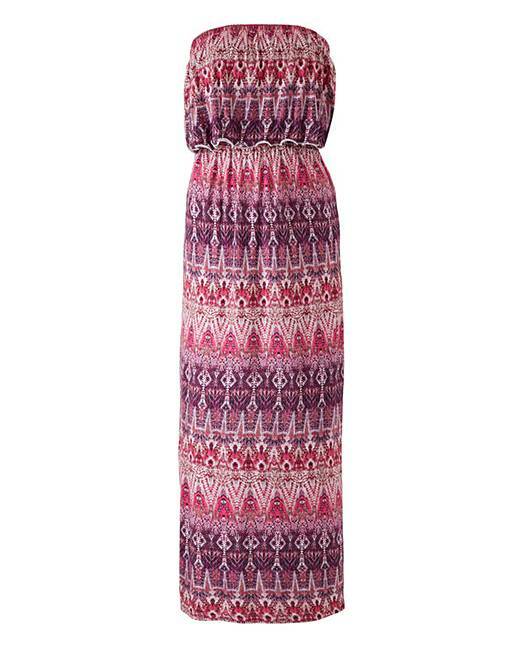 Be bold this season in our Aztec Print range of swim and beachwear. 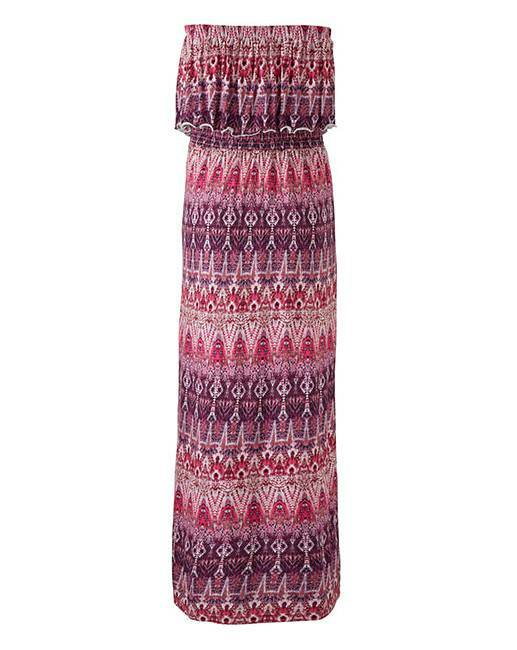 Designed in vibrant pink and purple printed tones with contrasting black, this beach maxi dress offers a flattering bandeau neckline, with an overlain frill top, elasticated waist band and tube skirt, in a supersoft jersey fabric. Match up with one of our beautiful swimwear pieces for an enviable pool side look.